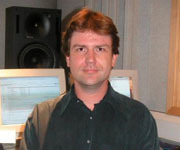 is the Senior Test Engineer at Yamaha Research and Development. Whilst his day job and family consume most of his time, he also finds a way to squeeze in writing as a freelance journalist for Astronomy Now where he regularly reviews and tests CCD cameras and telescopes, as well as writing about interesting historical locations for Astronomy around the world. 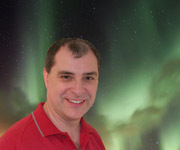 Nick has also written for Amateur Astronomy and Practical Astronomer magazines. 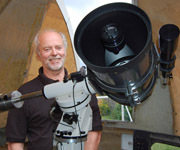 His passion in astronomy is imaging the Sun, using a collection of narrowband solar telescopes, and also deep sky imaging using a parallel mounted refractor setup from his home observatory in Wiltshire, where he is a member of Wiltshire Astronomical Society. 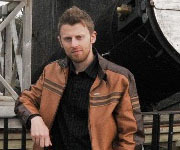 He is currently working with a team at the California Institute of Technology and Mount Palomar Observatory on a large scale amateur-professional collaboration for detecting and measuring transient objects in deep space. Nick was the instigator of the lunar world record attempt. has been looking skyward for over 40 years. 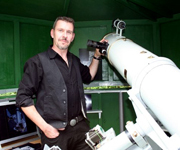 He has a degree in Physics with Astrophysics from the University of Leicester and currently works as a freelance astronomical consultant, writer, illustrator and expert guide for specialist astronomical tour companies. 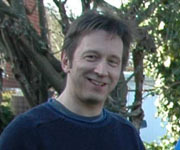 He currently compiles the observing section and carries out equipment reviews for the monthly Sky at Night Magazine and is a regular presenter on the BBC's Sky at Night television programme. Pete is married and has been with his wife Tessa since 1983. They have two children, Richard and Douglas. Pete's website is www.digitalsky.org.uk. first took an interest in astronomy at a young age while at primary school. Over the last twenty years his enthusiasm and love for observing the Moon and planets has led him to specialise in taking photographs of Earth's nearest neighbours. Inspired by great planetary observers such as Patrick Moore and Donald Parker, he began making regular visual drawings of the planets in 1996. He was further inspired by the gains offered in CCD imaging, quickly moved on to digital photography in 1997/8, and has specialised in this area ever since. When possible, he also enjoys observing from the balmy warmer conditions found overseas and has made many trips to various places over the years to escape the often gloomy British weather. You can read more about Damian at his astrophotography website: www.damianpeach.com. first became interested in astronomy at the age of eight when he observed the planet Saturn through his friend's refractor. Now more than thirty years on, he is a dedicated lunar and planetary observer, taking images and making observations of the Solar System whenever the skies permit. Bruce gives talks, and attends outreach projects to promote and raise awareness of astronomy and planetary imaging, both to the public and to astronomical societies alike. He continues to make regular contributions to the BBC's Sky at Night television programme, as well as providing photographs for books, journals and publications concerning astronomy and photography. He is currently the photographic coordinator for the Lunar Section of the British Astronomical Association and a sustaining member of ALPO (Association of Lunar and Planetary Observers). was Born in Teddington in 1941, not too far from Ron Irving. He has had a few real in-depth hobbies; racing FAI 2.5cc control line (model aircraft) team racers in the late 50's, motor bikes, crossbow shooting target and field, photography, target and field archery with the bow, and amateur radio, have all been passions of his but none so long-lived as astronomy, which has been an interest since the first Sky at Night programme. After building his first scopes in the 70's, he did a lot of lunar and planetary imaging during that decade using 35mm film. After many years of visual astronomy and with aging eyesight, digital cameras and webcams revitalised his photographic interest late in 2003. With modern technology, Dave became a born-again solar system imager. The live on-screen images revealed more detail on planets and on the Sun that he ever saw through an eyepiece. He currently spends most of his astronomy time imaging and processing images of the Sun in hydrogen alpha and "white" light. However, Dave found the lunar imaging team effort to be a marvellous experience. During the building of the mosaic, he found that the enforced long hard looks at all of the minor lunar features and craters in the frames was actually very interesting. is a keen amateur astronomer, whose primary interest is high-resolution imaging of the Moon and planets. Nick's interest in astrophotography was fuelled by the 'webcam revolution', which enabled amateurs with modest equipment to produce images that equaled, or even exceeded, the quality of photographs produced by professional observatories. 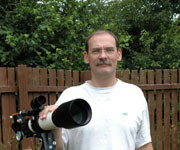 Nick has had many lunar and planetary images published in the UK astronomy press. In the daytime, Nick works as a flow cytometry applications specialist for Becton Dickinson in the UK and Ireland. He has two children, Annabel and Joseph, and a long-suffering partner of many years, Judy. Nick's latest images can be seen at www.pbase.com/nicksmith. was, like many people of his generation, inspired by the early Apollo missions and has had an interest in astronomy from a young age. While studying for a Fellowship in 1986 he broke his back in an accident at work, which put a stop to most of the things he had wanted to do in life. 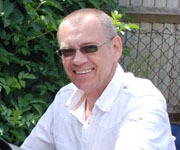 He qualified as a ISSF Judge and GBTSF Judge while participating in the hobby of target shooting, but now concentrates his time on his love of astronomy and the two astronomical societies he belongs to; Adur Astronomical Society and Worthing Astronomical Society. His main interests are solar, lunar and planetary imaging. is a proud father of a young daughter who seems to enjoy waking him up early after an all night imaging session! He has had an interest in astronomy, albeit a passing one, from an early age until the purchase of a GoTo telescope in 2002. This was followed very shortly by combining it with another hobby, photography, which led to his start on the learning curve of astro-photography. Joining Maidenhead Astronomical Society he met several other imagers, including Bruce Kingsley, whose help has proved invaluable, particularly with lunar & planetary imaging. He has been producing large lunar mosaics for some time now and learned the hard way just how many things can go wrong! David has had several images published in Astronomy Now and even won the DMK 41AU02.AS camera he used for this project in one of their imaging competitions. are relative newcomers to astronomy, having only bought a telescope in 2007. 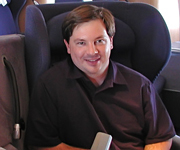 Mark is an airline Captain, having been interested in flying since he was 15. Lea trained as a professional engineer, working on standby power systems and nitrogen plant, before leaving engineering to investigate self-employment. The pair met at university and have been married for almost 10 years, but it was a modest inheritance that led to the purchase of a telescope to fulfil Lea's long-held ambition to learn more about the night sky. They joined Worthing Astronomical Society, and there met Trevor Little who introduced them to the team. 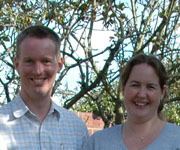 Mark & Lea have participated in group events before; they were part of the Sky at Night star party in September 2008, where they also produced their first moon mosaic. This involved using their C9.25 with a DMK21 camera and focal reducer, to capture the moon in 19 panes.